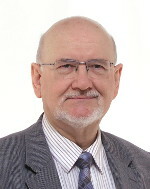 Witold Kinsner is Professor in the Department of Electrical and Computer Engineering, University of Manitoba, Winnipeg, Canada. He obtained his Ph.D. degree in Electrical and Computer Engineering from McMaster University in 1974, and became Assistant Professor at McMaster University and then at McGill University. He is a co-founder and Director of Research of the Industrial Applications of Microelectronics Centre from 1979 to 1987, and was Visiting Researcher at National Semiconductor, Santa Clara, CA. He is a Fellow of the Engineering Institute of Canada (FEIC), a Fellow of Engineers Canada (FEC), a Fellow of the Canadian Academy of Engineering (CAE), a Life Senior Member of the Institute of Electrical & Electronics Engineers (IEEE), a member of the Association of Computing Machinery (ACM), a Professional Engineer with the Association of Professional Engineers and Geoscientists of the Province of Manitoba (APEGM), and a member of other societies. Since 1971, he has been very active at all the IEEE levels: IEEE International, Region 7 (IEEE Canada), Council, Section, Chapter, and Student Branch. He has organized many conferences, and has been on numerous editorial boards of journals and magazines. In 2013, Dr Kinsner was elected IEEE Canada President-Elect 2014-15, and IEEE Region 7 Director-Elect, was IEEE Canada President 2016-17, and is the sitting IEEE Canada Past President 2016-17. In November 2017, he was elected Vice President, Educational Activities, 2018. He has been involved in research on cognitive systems, computational intelligence, robust real-time computing engines, and computer memories. Applications included biomedical, industrial monitoring and controls, aerospace, and space. He has authored and co-authored over 760 publications in the above areas, as well as supervised over 75 Master's and Doctorate graduate students, over 200 undergraduate final-year thesis/capstone project students, and mentored over 35 summer research students. He has received a number of awards.